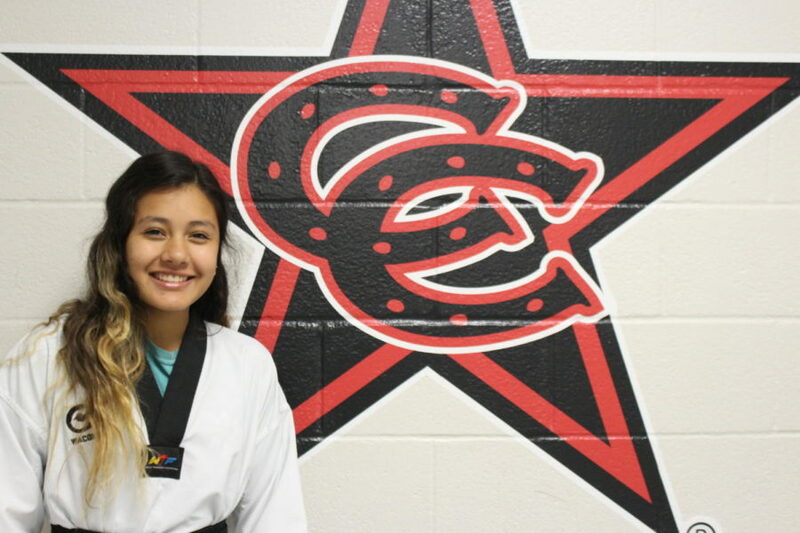 Coppell High School sophomore Jessica Hayakawa is a highly skilled taekwondo athlete shown through Hayakawa’s black belt. Hayakawa was offered a spot on the Mexico’s National Taekwondo Team which she has now joined. 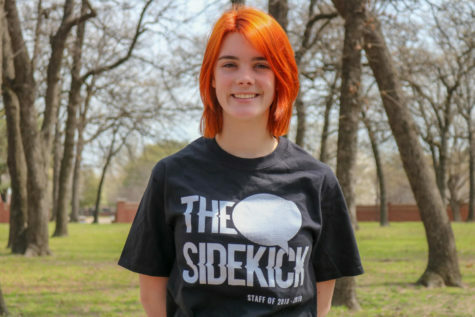 Movement is present at every step in Coppell High School sophomore Jessica Hayakawa’s life. She punches and kicks opponents with such finesse and aptitude that her talent has brought a major opportunity into her life. Last year, she was admitted into the Mexican National Taekwondo team. Growing up, Hayakawa moved often. She was born in Eagle Pass, Texas, a quaint border town on the outskirts of the Lone Star State across the Rio Grande from Piedras Negras, Coahuila. Four years later she moved to Portland, Ore. and eventually moved back to Texas when she was in third grade. Such a busy childhood brought along many different sights, discoveries and experiences. For example, sometime after watching the hit animated movie Kung Fu Panda in kindergarten, she became infatuated with martial arts. After three months of strategically begging her parents to enroll her in a martial arts class, she was finally granted her wish. Taekwondo, the sport with roots digging deeper than 2,000 years became her single, biggest passion. As she got older she began to translate that passion into something more competitive. Taekwondo tournaments are considered true tests of strength, endurance and precision as they factor in many aspects of the sport. They usually consist of sparring, one on one combat, and form events, sequences of martial techniques. Once the scores are tallied, winners are awarded trophies and/or recognition. Hayakawa competed in and won in the 2016 U.S. Nationals. She was given the ability to be a part of the USA National Cadet Team. Such a big accomplishment gave her the privilege of training in Colorado with the entirety of the cadet team. Two years later, an event of equal caliber would occur. Hayakawa’s double nationality gave her the option to compete in the 2018 Mexican Nationals. It was after her stellar performance that she was given a spot on the National Mexican Taekwondo Team. That is a team that competes on an Olympic level. Hayakawa has competed in tournaments at a local and state level since she was 10. 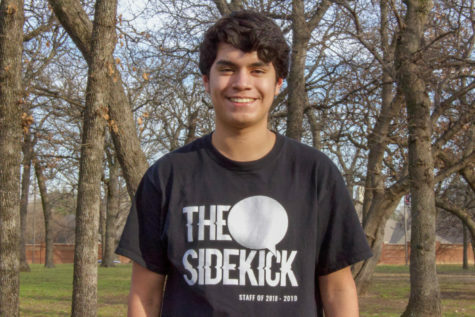 Constant training spanning years of classes and dedication has led to her competing in tournaments such as Texas State, AAU Nationals and World Taekwondo President’s Cup. Speaking of training, Hayakawa currently trains at NTA Taekwondo Center. The facility is located inside Grapevine Mills Mall and offers taekwondo classes and activities to individuals ranging from age 4 to adults. Success does not properly define Hayakawa’s Taekwondo career. It is her ability to stay focused under different conditions which shines as the key component to unlocking her future.